The town square with a piece of Jumbo (see below) is interesting. A 15 minute stop only. Nice little town. It seems like they’re really pushing for tourism, but there wasn’t much of anything to be honest. Socorro has a rich history of over 400 years. It has humble beginnings as a Spanish mission town on the Santa Fe Trail. Stop into the visitor center for a walking tour map and more info on what to do in the town. The beautiful town plaza is surrounded by a few historic buildings. 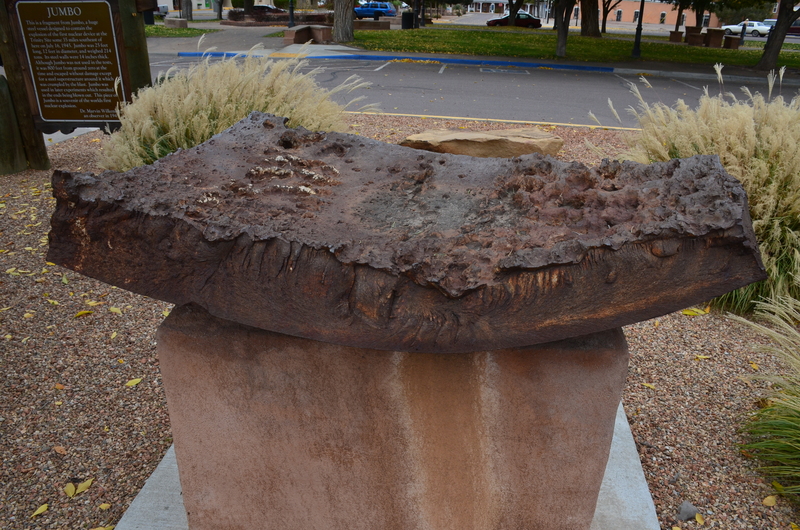 There is also a piece of Jumbo, a structure used in the world’s first nuclear explosion, which took place 35 miles southeast of Socorro on July 16, 1945. 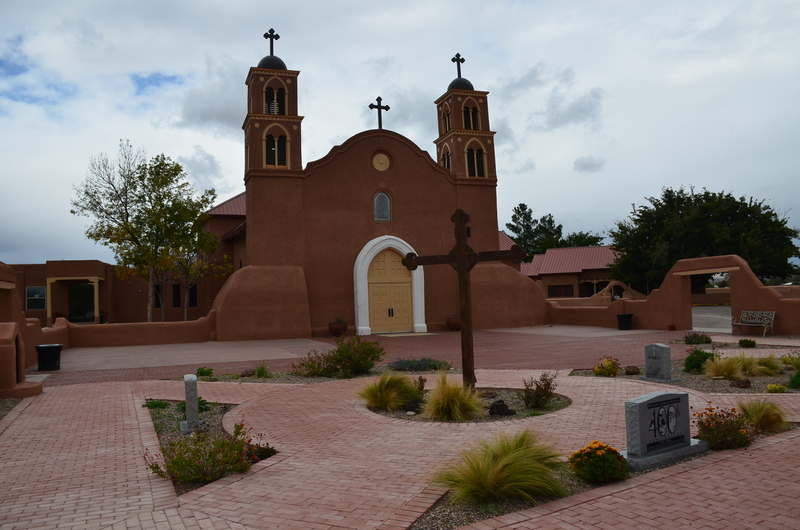 The San Miguel Mission was founded in 1598. The current church was completed in 1821. The Hammel Museum is located in the old Illinois Brewing Company building. Visitors can see the rooms used during the brewery’s operation. It’s open the first Saturday of each month or by appointment.